Matthew & Donna Farmer are the Associate Pastors and Christian Education Directors here at The Lord’s Church. They both have a burning desire to serve and bless those to whom they minister. Matthew & Donna are both graduates of Rhema Bible Training College in Tulsa, Oklahoma. They are also both graduates of Lee University in Cleveland, Tennessee, with degrees in History, Psychology, and Counseling, along with teaching degrees. Their combined talents make them a very valuable part of our ministry staff here at The Lord’s Church, not to mention, a true “dynamic-duo”. With a heart of love and desire to serve, their driving passion to see people live a life of purpose and mission comes through in all that they do. 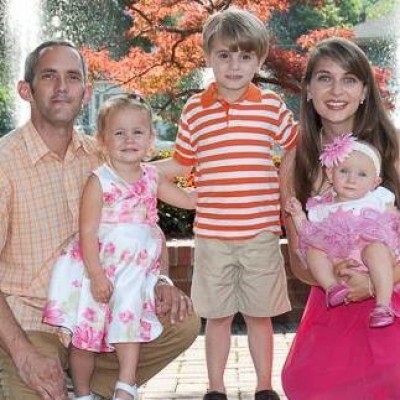 Matthew & Donna make their home in Oakland, Tennessee, with their son Eric, and their two daughters, Hannah and Gabriella.